Yamaha India becomes the latest manufacturer to comply with BS4 engine standards set by Government of India. The two wheeler manufacturer which recently launched the 250cc Yamaha FZ25 motorcycle has now announced that it has introduced 2017 Yamaha Fascino scooters which complies with BS4 emission norms. Along with BS4 engine, the all new Yamaha Fascino will be getting a safety feature called AHO – Automatic Headlamp On. The AHO features improves the visibility of the bike during the day time as the headlamp will be on continuously right from the start of the engine. Get Yamaha Fascino for Test Drive! 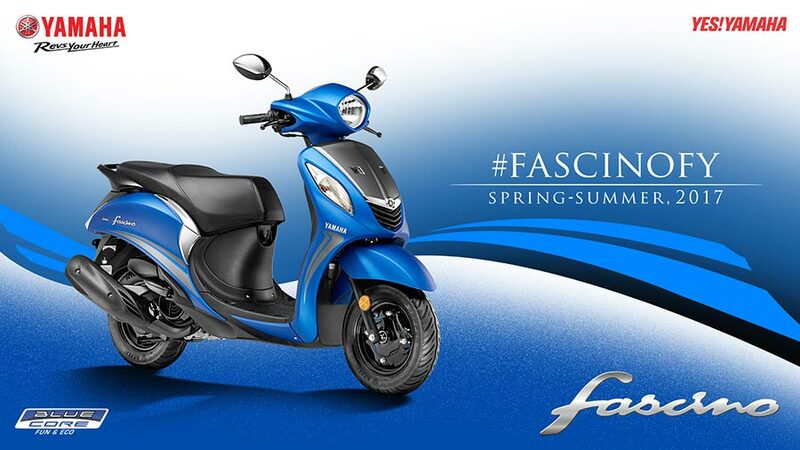 Provide your details so that we can arrange a test drive of Yamaha Fascino for you at your city! All two wheeler manufacturers in India are one by one updating their motorcycles and scooters in India to the latest BS4 complaint engine. Starting from the announcement from Rajiv Bajaj of Bajaj on upgradation of Bajaj portfolio to BS4 engine compliance, every other two wheeler manufacturer in India – Honda 2 Wheelers, Suzuki, TVS, Royal Enfield have announced about their upcoming product line-up with BS-4 compliant bikes ( which will be also featured with AHO). And now all new 2017 Yamaha Fascino scooters are set to hit Indian roads. Check out all Yamaha Fascino colors with photos. 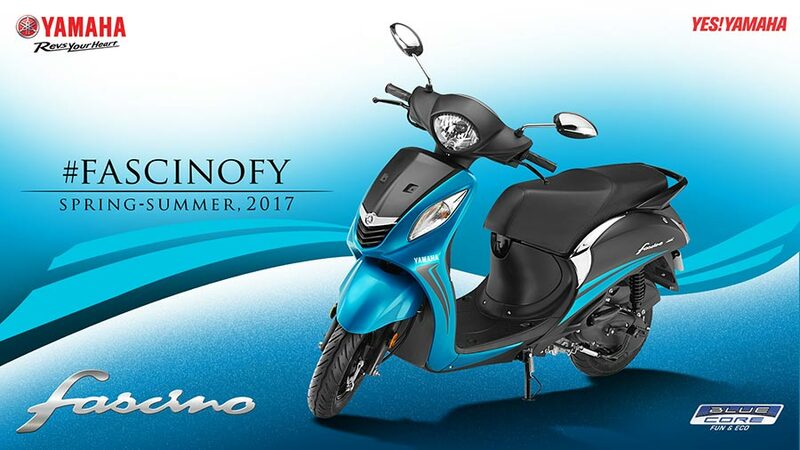 The all new 2017 Fascino will be getting BS4 complaint 113 cc 1 cylinder air-cooled 4-stroke engine that comes with Bluecore technology (known for improving fuel efficiency). Yamaha claims mileage of 66 kmpl for the nee Fascino. Yamaha Fascino’s engine produces a maximum power of 7.1 PS and outputs 8.1 Nm of maximum torque. The 2017 Yamaha Fascino looks very trendy in looks and comes with telescopic front suspension and gets tubeless tyres as well. 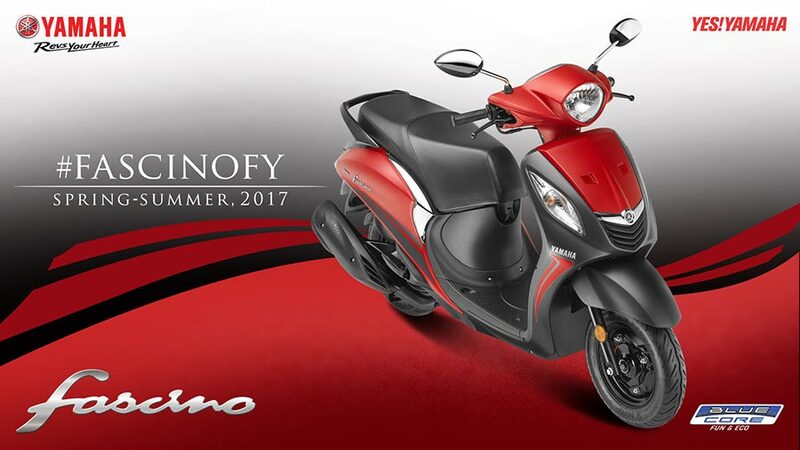 The fuel tank capacity of all Fascino is 5.2 litres and the scooter weighs 103 Kgs. The all new 2017 Yamaha Fascino rivals against 2017 Honda Activa 4G and 2017 TVS Jupiter.